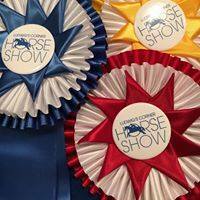 Open to Juniors, Amateur Adults & Professionals on horses and ponies who have placed 1st or 2nd in a participating Derby or Classic during the year, including the 1st & 2nd place ribbon winners at our 2019 LCHSA Hunter & Pony Derbies. If less than 12 are entered, it becomes a sweepstakes. A Classic Round followed by a Handy Round.